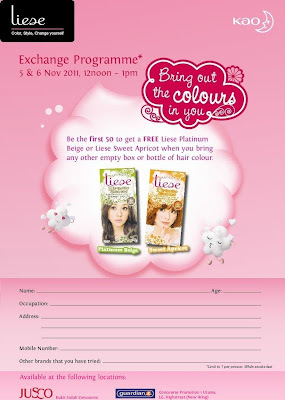 Check out Liese Exchange Programme this weekend! 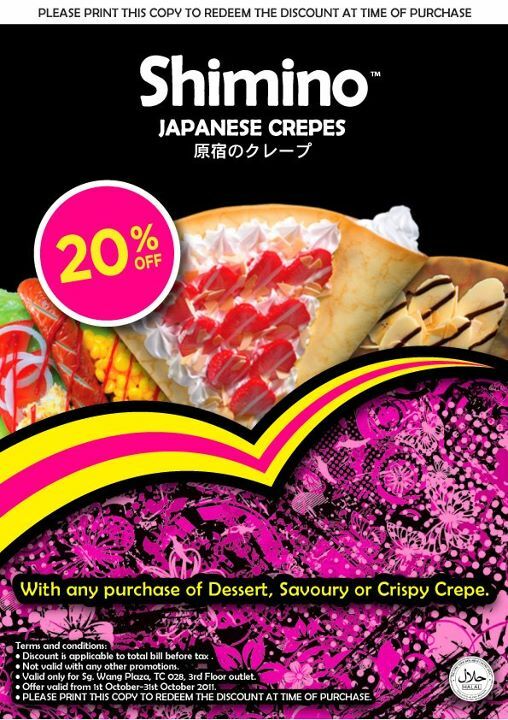 Venue: Guardian Concourse 1 Utama and Jusco Bukit Indah Concourse. 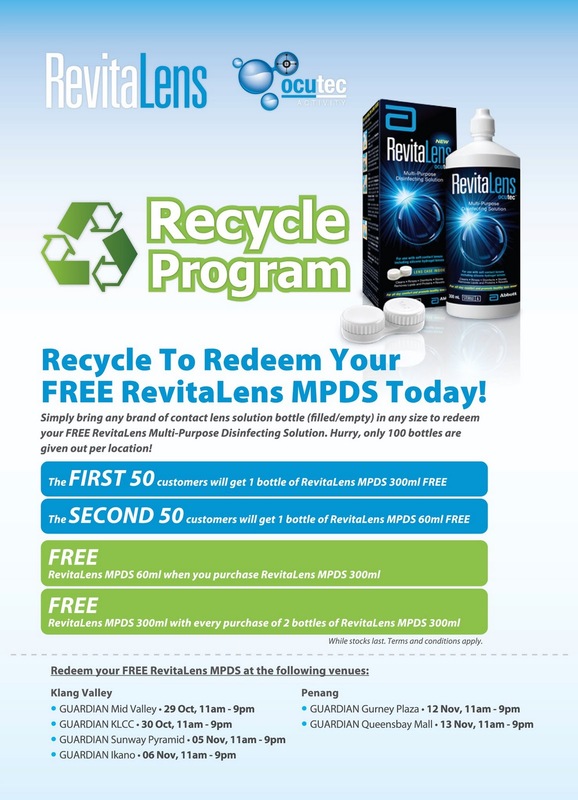 First 50 customers of the day will exchange for RevitaLens MPDS 300ml. 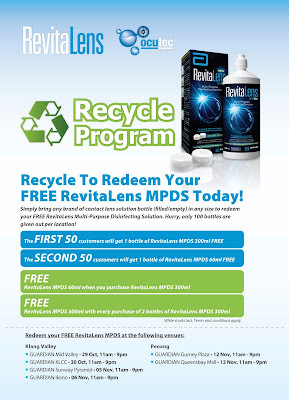 Second 50 customers of the day will exchange for RevitaLens MPDS 60ml Starter Kit. 15th Malaysia National Lion Dance Championship. the Dutch Lady Moms Club. NH Colla Plus for FREE! Redemption Period: 25/10/11 till 30/11/11. 3. 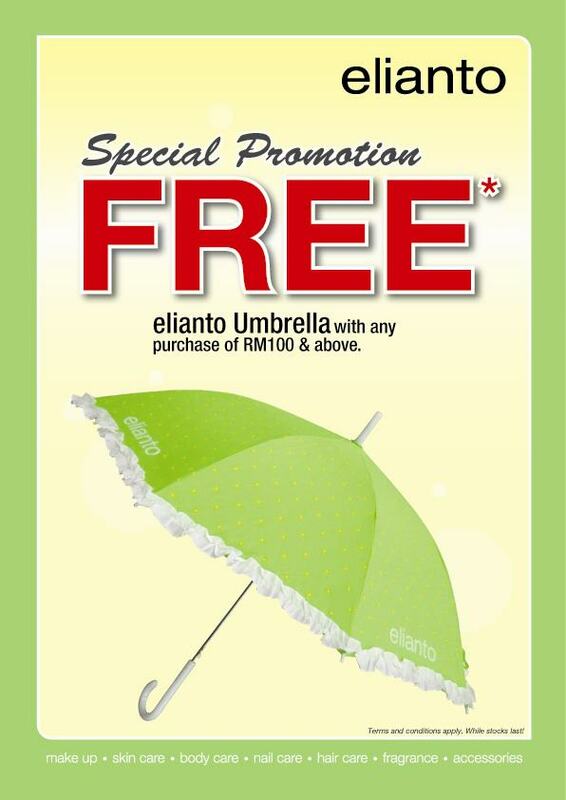 Send us the image of the receipt via e-mail to info@mherbs.com . 4. You must be our facebook Fans and Add the "I Love NH Colla Plus" PicBadge to your profile picture ! 5. 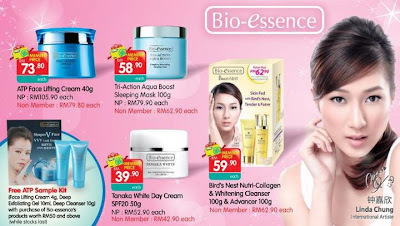 Type & complete the information / details as below in the mail: - Full Name: - Contact No: - IC: - Add: - What products would you like to redeem? 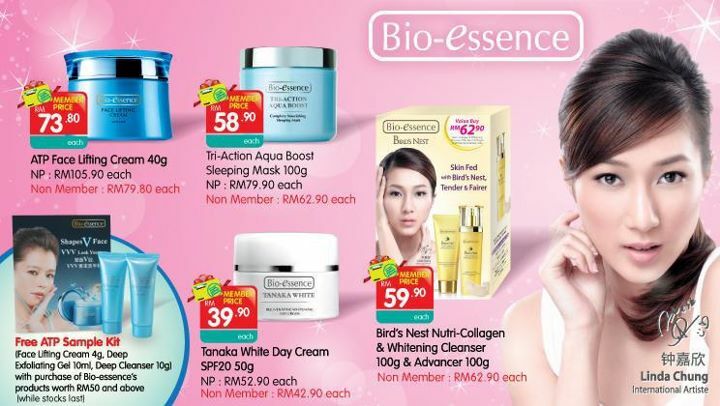 6.bottles of NH Colla Plus OR 6 bottles of NH F’rm Plus - Please answer: (a) Why do you love NH Colla Plus / NH F’rm Plus? (b) How do you know this product? (from Newspaper / Magazine / Friends / Others). 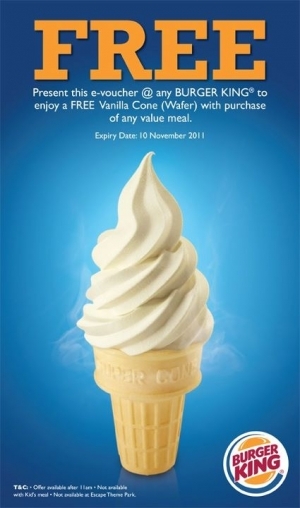 (worth RM 49.90) for free! 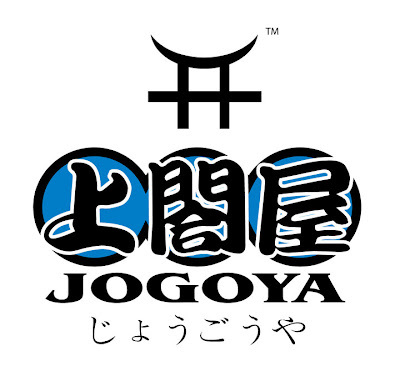 from 26 - 30 Oct 2011. Ground Floor, Mid Valley Megamall only. Pampering Session by visiting Talika counters. by joining our Eye Pampering Session. to purchase Talika Eye Products. 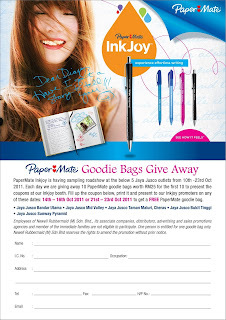 in action on 23 Oct 2011 at Penang Times Square. redeem a wristband watch on that day. LIMITED to first 50 spectators who show the coupon. 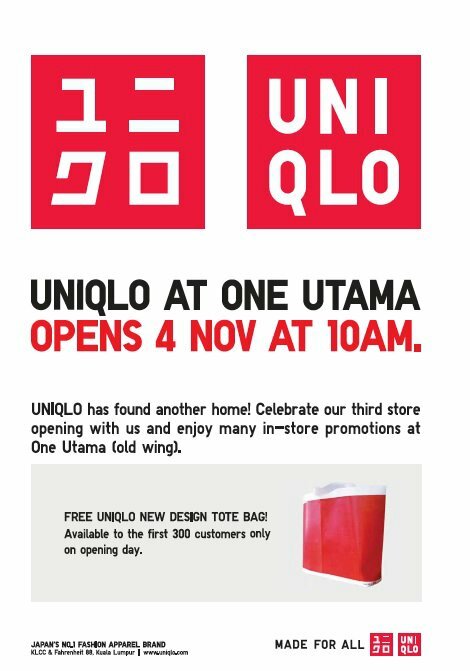 their 1U store from 5pm onwards. 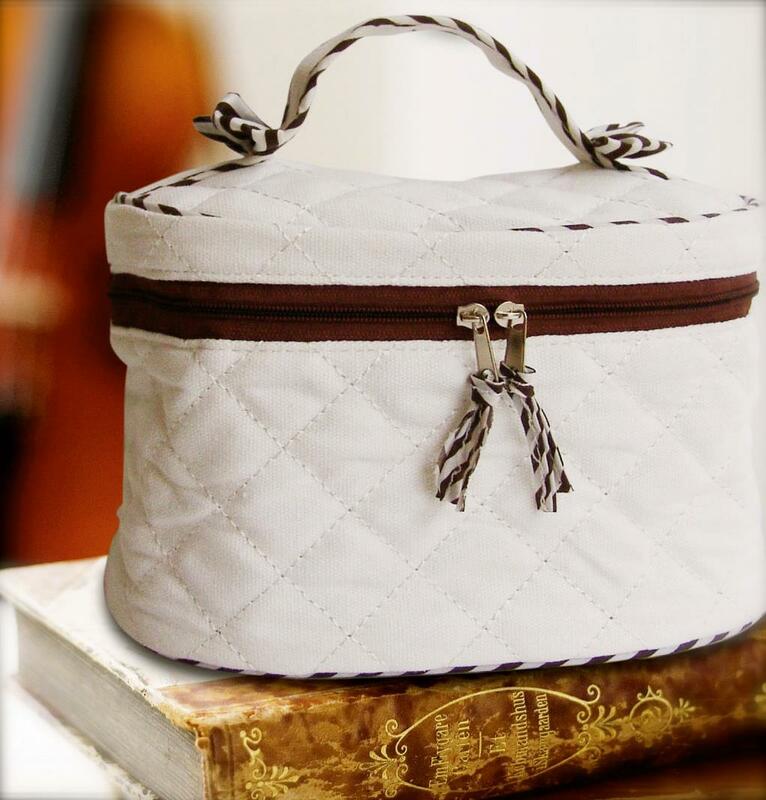 things for women to fall in love with! 1. A successful sign up requires the 'subscriber' to verify the registered email address through an 'email verification'. 2. 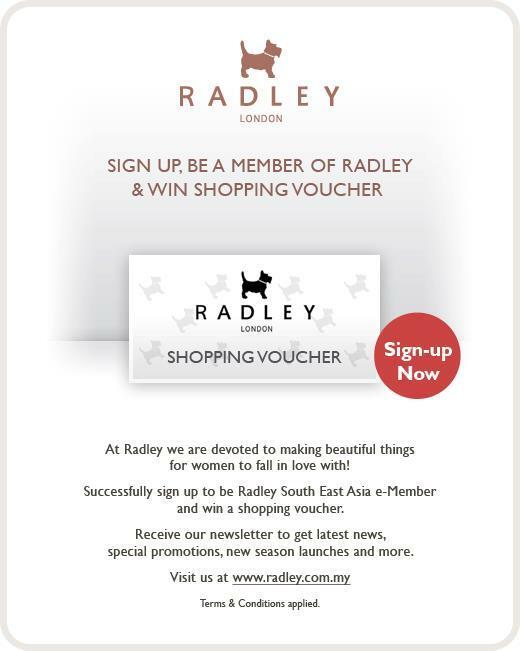 Each unique registered email address is entitled to only one (1) shopping voucher. 3. All 'subscribers' will be notified by email for redemption of shopping voucher. 4. The shopping voucher is valid for use at Radley boutique in Pavilion Kuala Lumpur and for the purchase of normal price handbags only. 5. 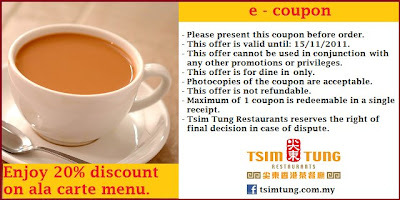 The shopping voucher is not to be accumulated nor used in conjunction with any other ongoing discounts or promotions. outlet opening at KL Festive City today. 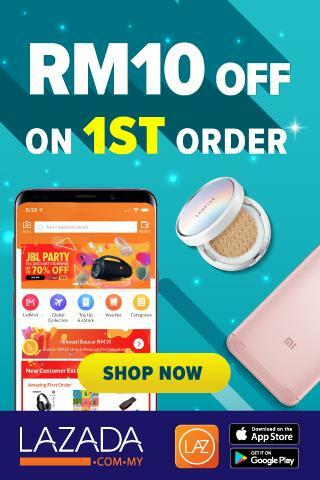 any purchase of RM 100 & above. 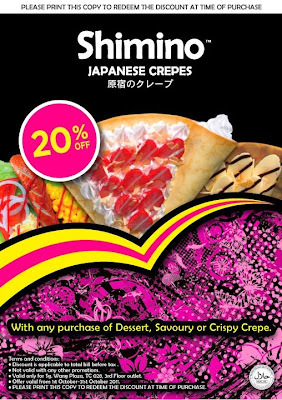 Promotion ends on 30 October 2011.
above (Jogoya standards size Cake). complimentary Jogoya Pastry Chef Special Cake. 1 week advance booking is required. 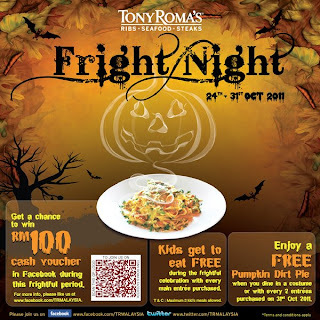 and get to win a RM5 Cash Voucher as well. Full details must be provided. 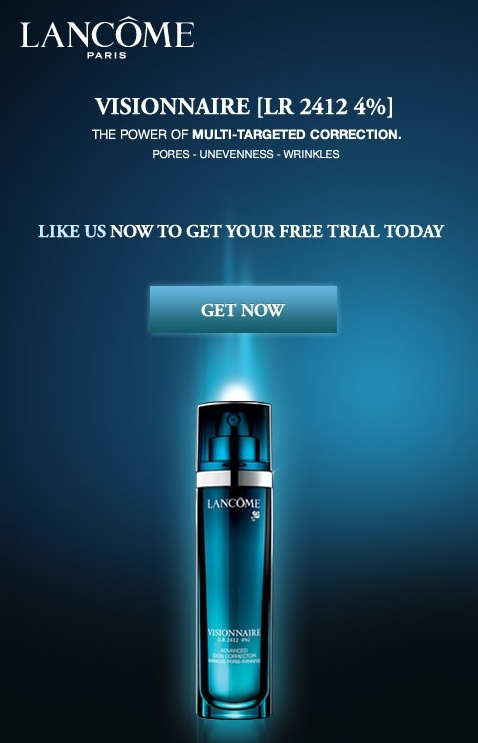 Sachet can only be redeemed upon flashing your SMS at all Lancome counters. Limited to one sachet per customer only. While supplies last. Our Beauty advisor reserves the right to delete your SMS after redemption. Only applicable to original SMS. Forwarded SMS is not acceptable. 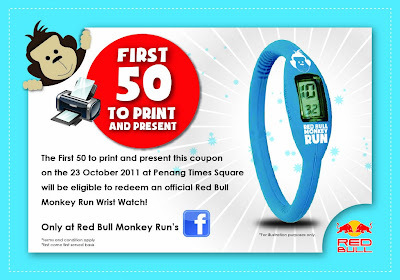 Redemption valid until 31st Oct 2011. 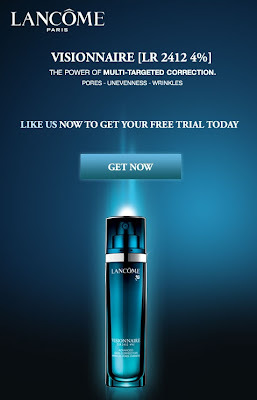 Lancome Malaysia reserves the right to change, amend, delete or add to the activity terms & conditions without prior notice at any time. 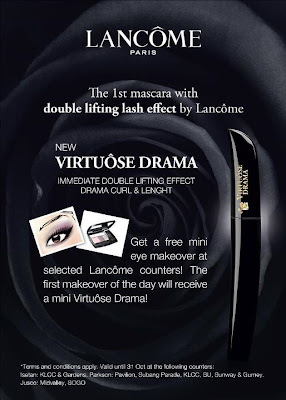 In the event of unforeseen circumstances beyond its reasonable control, Lancome Malaysia reserves the right to cancel, modify, suspend or delay the event period. 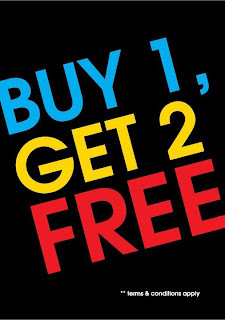 get another for your friend! friend of yours on Facebook. 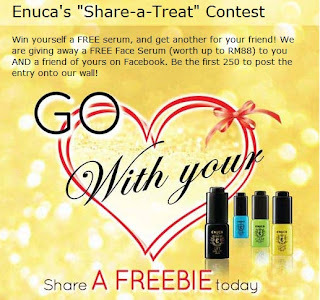 Be the first 250 to post the entry onto our wall! *Please be advised that prize need to be collected personally by the winner at Enuca White House. 1. 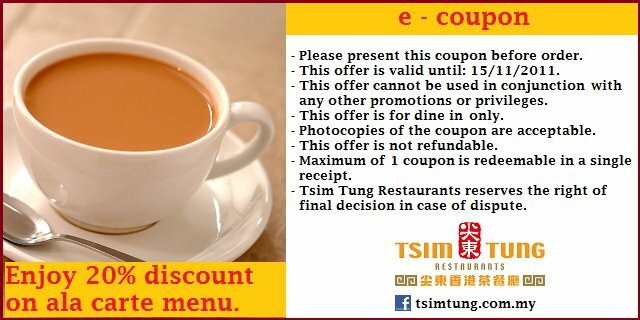 Click the "coupon" tab in Tsim Tung Hong Kong Restaurant page. 2. Click the print out button. walk away with great getaway adventures. 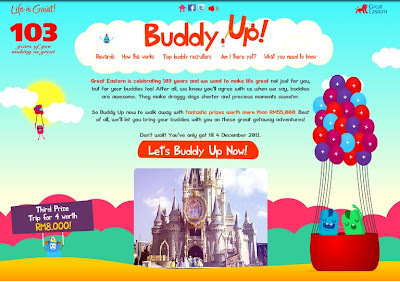 You’ve only got till 4 December 2011. 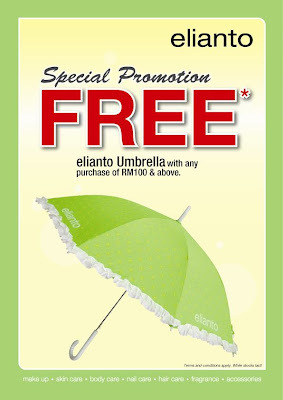 *RM5 voucher is applicable to this promotion item. 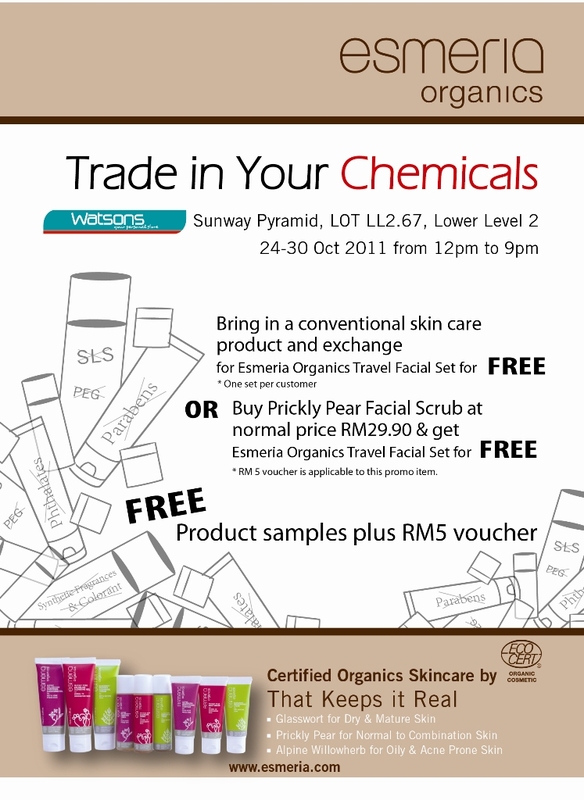 *RM5 cash voucher and Esmeria Organics product samples (cleanser & moisturiser). 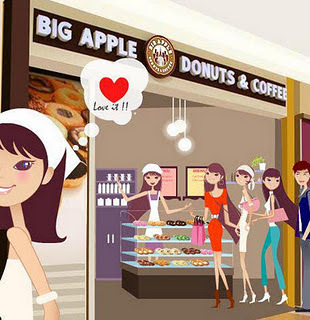 This is only for the 1st 2000 users only so hurry! 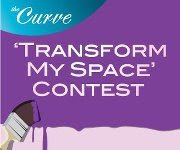 the Curve Touch 'n Go Card! 1. 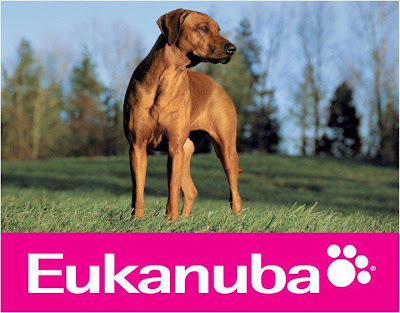 Like Eukanuba Asia Facebook. 2. Click on FREE Sample tab and fill in your details. 3. Be sure to specify your location, dog breed and dog age. 4. Limited to one trial per owner. 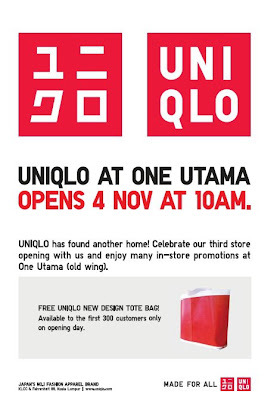 at One Utama (Old Wing). 1. Fill in your details here. 2. A confirmation SMS will be sent to you. 3. 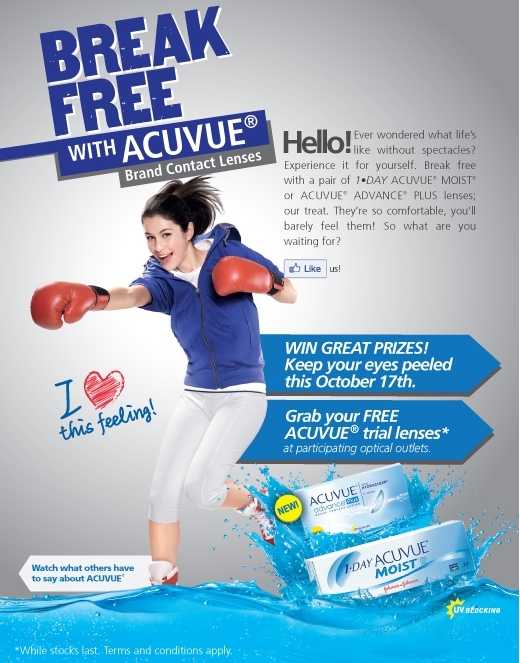 Present the SMS at your selected optical outlet to redeem you free trial lenses. 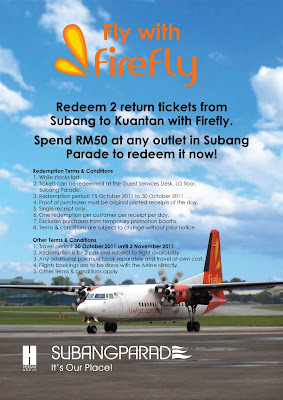 Subang to Kuantan with Firefly. 2. 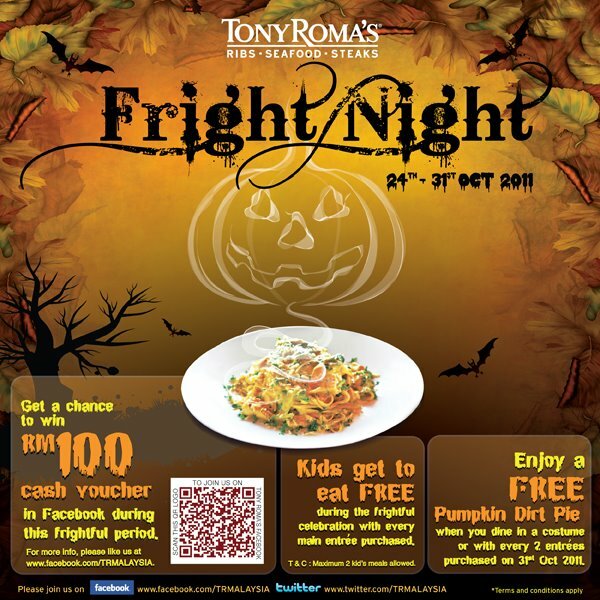 Tickets can be redeemed at the Guest Services Desk, LG floor, Subang Parade. 4. Proof of purchases must be original printed receipts of the day. 6. One redemption per customer per receipt per day. 7. 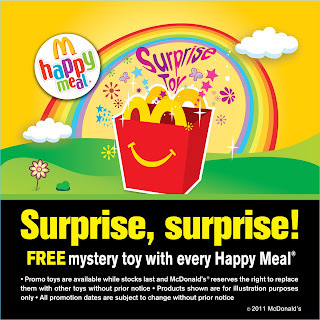 Excludes purchases from temporary promotion booths. 8. Terms & conditions are subject to change without prior notice. 2. Redemption is for 2 pax and subject to flight availability. 3. Any additional pax must book separately and travel at own cost. 4. Flights bookings are to be done with the Airline directly. FREE RM25 InkJoy goodie bag up for grabs! to See How It Feels™ ! 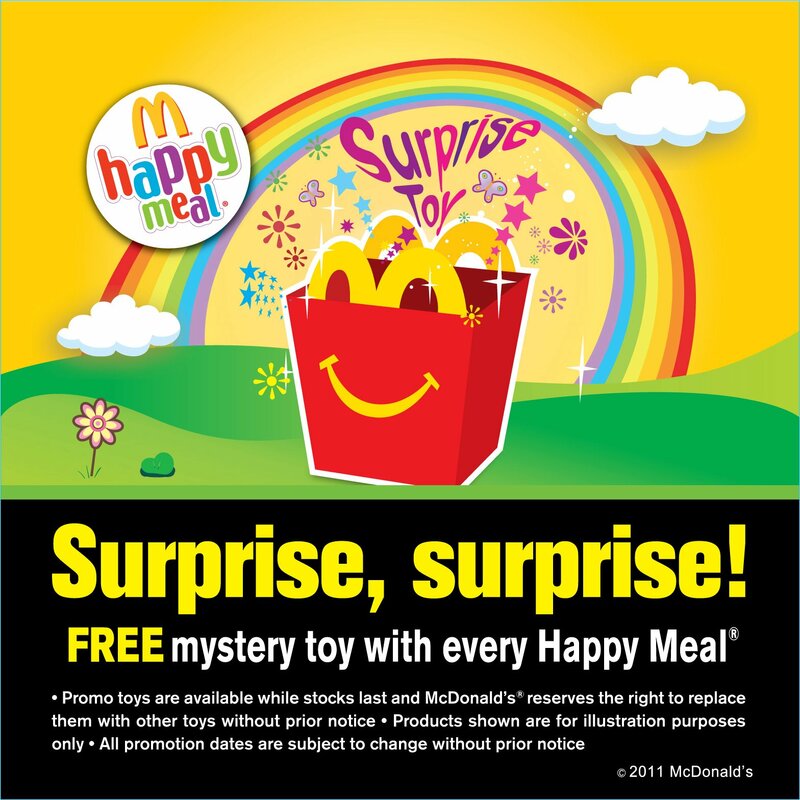 other toys without prior notice. Thierry Mugler's Angel is as captivating as it sounds! 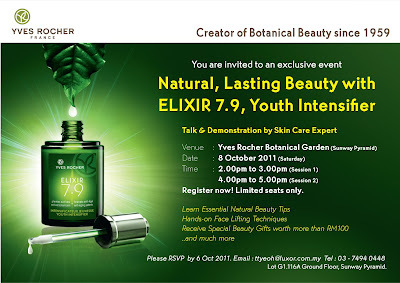 and Parkson 1 Utama Shopping Centre! 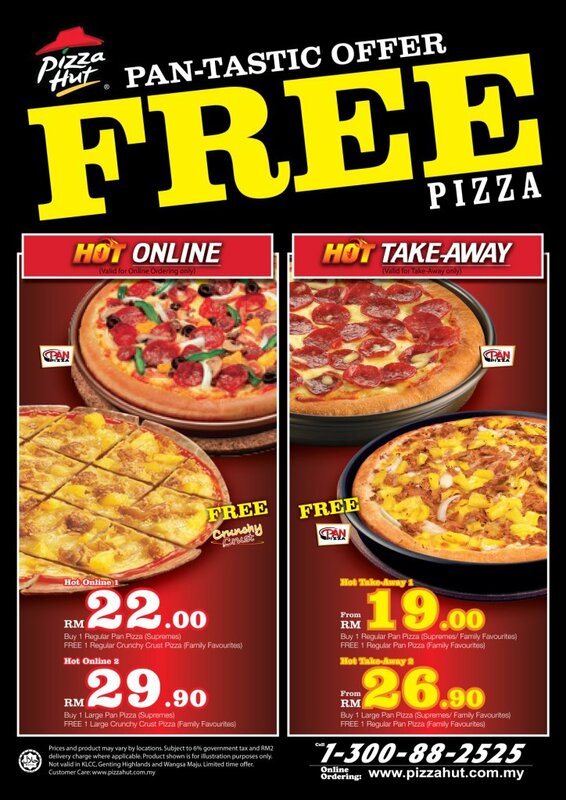 T&C apply and while stocks last. Is this a Steve Jobs Tribute? 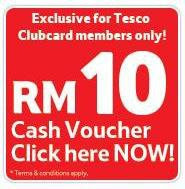 Valid till 10th Nov 2011. 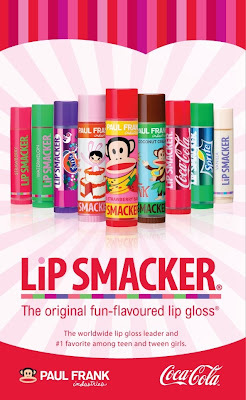 Not available with Kid's meal and at Escape Theme Park. from every aspect possible, in HALAL way. 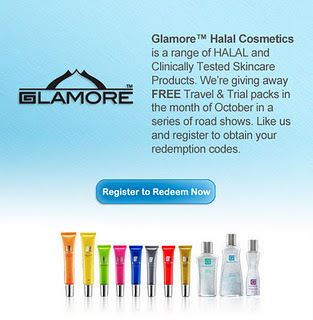 Like the Glamore Halal Cosmetics Facebook Page. 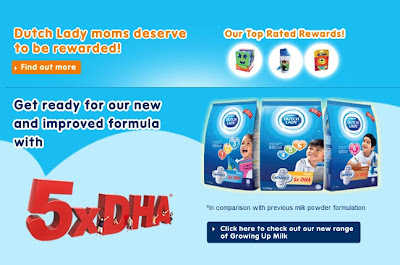 Fill up the details required at the form. Then print the page with the Unique Promo Code. You will be emailed the code too, remember to check it. Get your Glamore Travel & Trial Pack worth RM10 for FREE at booth at HalFest 2011 at PWTC on 12-16 October 2011 (Booth #1168-1169). 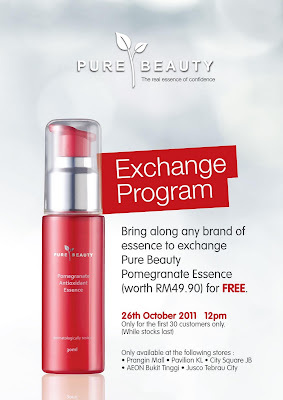 34000 Taiping, Perak on 16 October 2011.
every order* of DELIEAST or MAINS. * Not valid with any other promotions. ** Not applicable for Public Holidays. on sale at discounted prices. 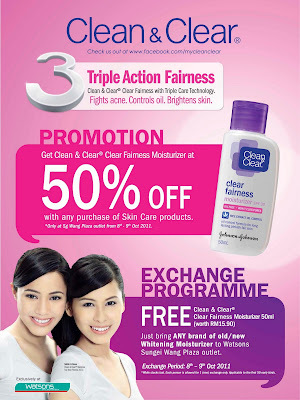 Clean & Clear Clear Fairness Moisturizer. 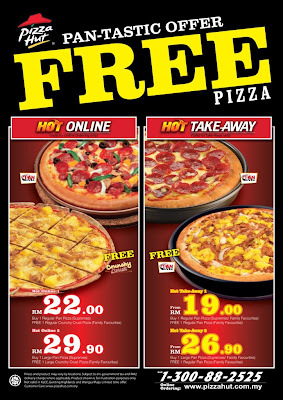 and tomorrow (9 Oct 2011) only. to their Facebook Profile Pictures. 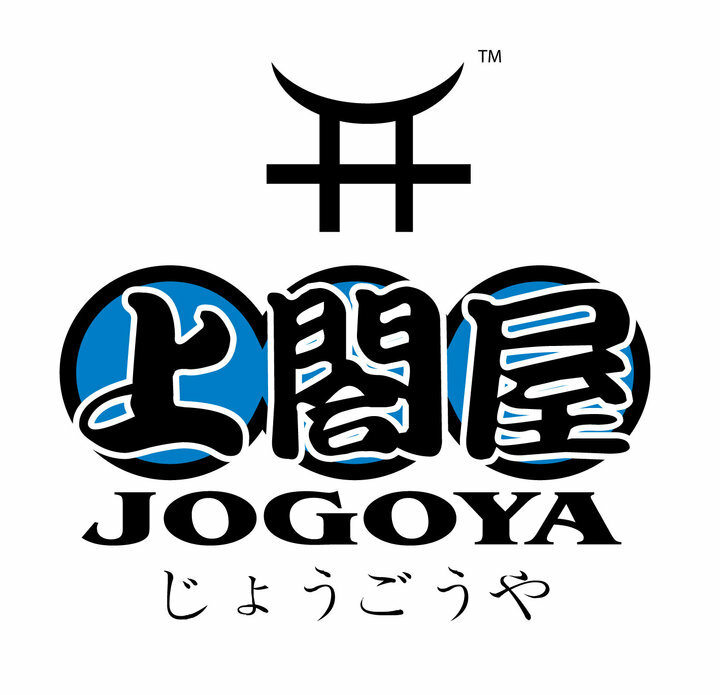 Check out the sidebar tab "World Food Day"
1. Kedai Ayamas Vantage Point, Penang. 2. Kedai Ayamas Batang Kali, Selangor. 3. Kedai Ayamas Puchong Permai, Selangor. 4. Kedai Ayamas Bukit Beruang, Melaka. 5. Kedai Ayamas Jalan Bakri, Muar Johor. 6. 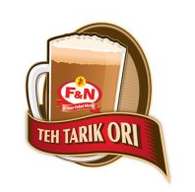 Kedai Ayamas Pasir Putih, Ipoh Perak. 7. Kedai Ayamas Kota Tinggi, Johor. 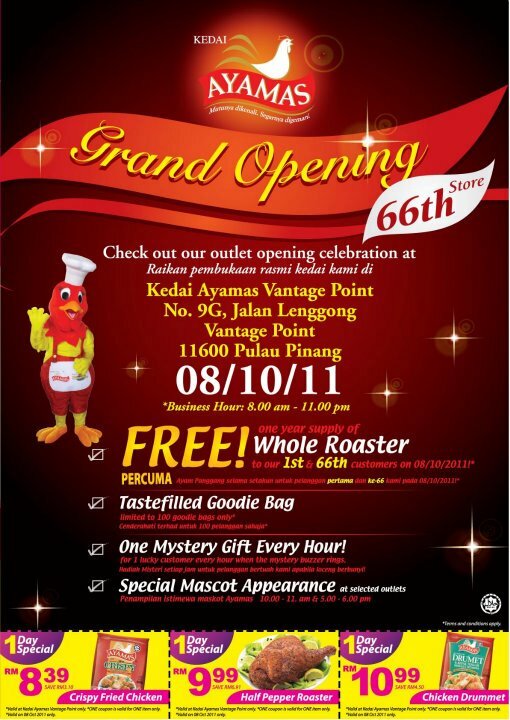 Come and join us for the special day! this weekend! AND IT'S FREEEEEEE!!!! 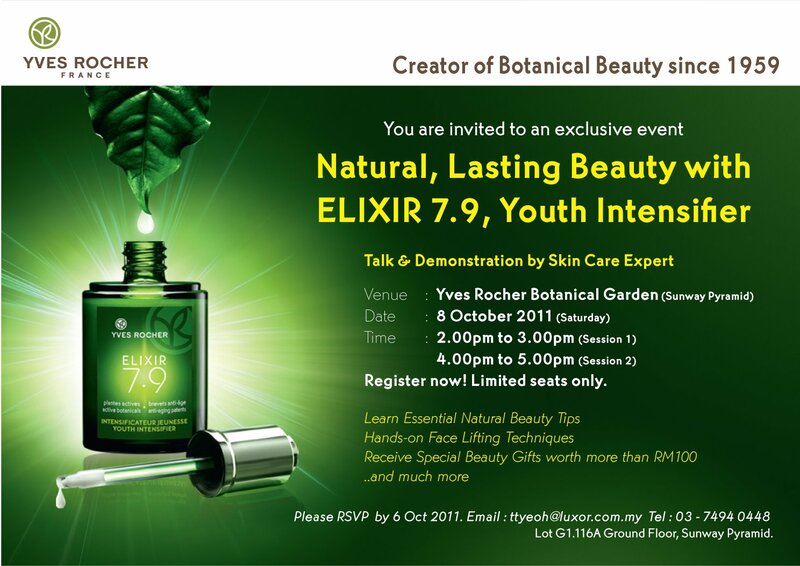 Happening only at Yves Rocher Sunway Pyramid! 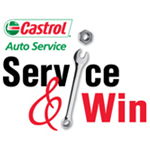 Check out Castrol Auto Service centre. by just servicing your car! 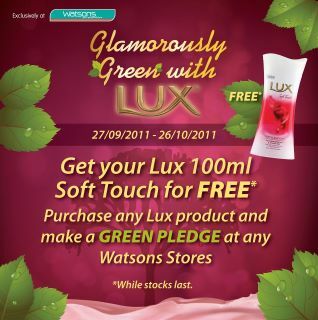 a Lux Soft Touch 100ml absolutely free! your nearest Watsons outlet now. 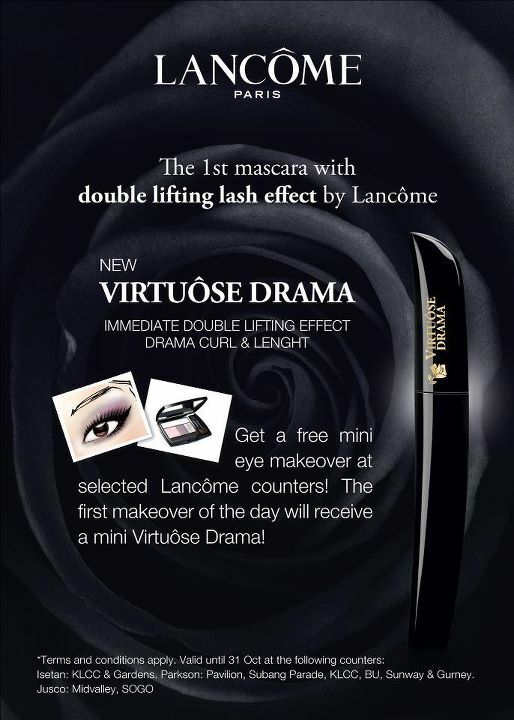 GOOD NEWS FOR ALL MASCARA LOVERS! will receive a mini Virtuôse Drama. 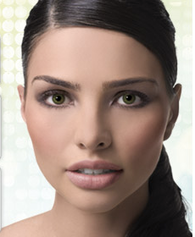 of Freshlook color contact lenses! Sg Wang Plaza, TC 028 3rd Floor. 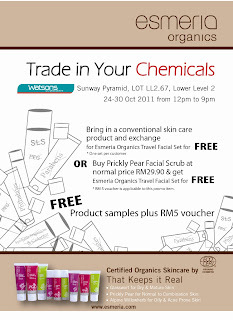 Offer valid from 1 October till 31 October 2011.